Today we appreciate the slick lines of Steve Lightle on a few covers of Classic X-Men (later renamed X-Men Classic). Lightle was cover artist for this title during 1989 and 1990. 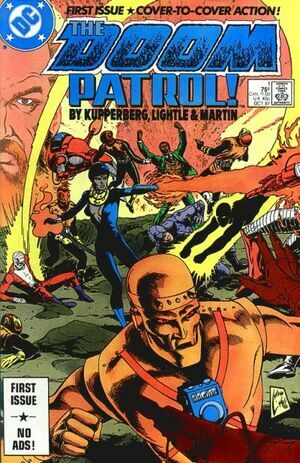 He worked on a run on Legion of Super-Heroes and Doom Patrol, but he is primarily known for his cover work. There’s an interesting interview with him here. Click on images to see them larger. Above, Classic X-Men #40. Wolverine gets a free flight courtesy of the Black Queen. Another Mistress of Darkness drawn by Steve Lightle is Umbra, shown here. Above, Frontispiece for Classic X-Men #40. Above, X-Men Classic #48. Looks like another fun time in Man-Thing’s Nexus of All Realities. Amazing wallpaper of Cyclops by Steve Lightle here. The site says it is art by John Byrne, but that is incorrect. It’s totally Steve Lightle. And so is this cover for X-Men Adventures! This comic came out after the success of the 90s X-Men cartoon! I hope you’ve seen enough art to appreciate Lightle’s smooth lines and extreme shadowing. His dynamic use of blacks and whites makes him a superb choice for covers. He’s definitely an artist worth looking into!